Today in English we started our unit on stories from other cultures. We started the lesson thinking about the title of the book and what we thought it might be about. Some of the words were a little tricky, so we started to break them down and explore them further. Here is an example below. Once we had listened to the story and discussed it, we then started role playing the different characters to retell the story. During PSHE today, we look at how our behaviour affects others. 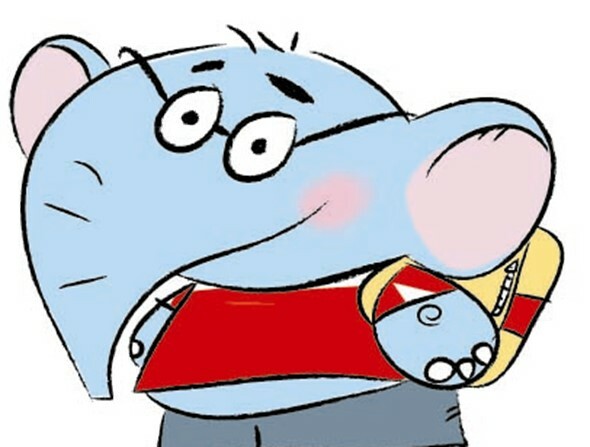 The children learnt Matali felt he was not important and that if they made him feel important than he would change his ways. because he was being bad. because he has stopped being snappy. 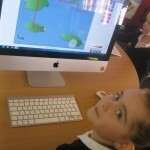 Today in Computing we continued our work on programming. 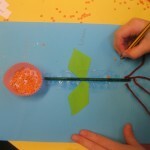 During previous weeks we have programmed the bee-bots and given each other practical instructions to sequence a path. 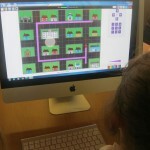 Today we used 2Go on Purple Mash to program and give instructions. 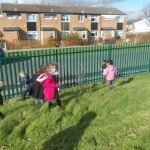 We developed our skills by giving the direction and the number of steps required before starting to make our journey. Mrs Jones was very impressed at how sensible we are when using the computers, if something came up on our screen that we did not like we told her straight away so she could help us sort out the problem. 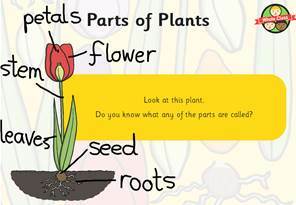 Today in Science we continued to think about plants and the different types of plants you might find. 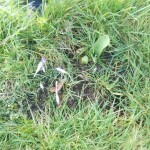 We found out about wild plants, these plants start growing on their own and they are not cared for by anybody. 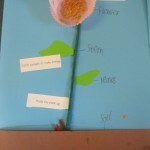 Seeds are taken from flowers by birds and insects and the wild plants start growing wherever the seeds land. We knew some names of the plants however a lot of them were new to us. 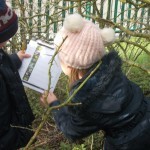 Once we had examined the plants and started to learn their names, we then went outside on our own plant hunt on the school field. 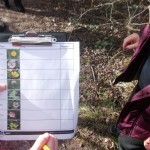 We took tally charts with us to keep track of the plants we found. 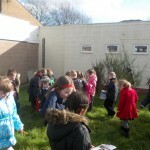 We had lots of fun outside looking for plants and naming the different plants we found. 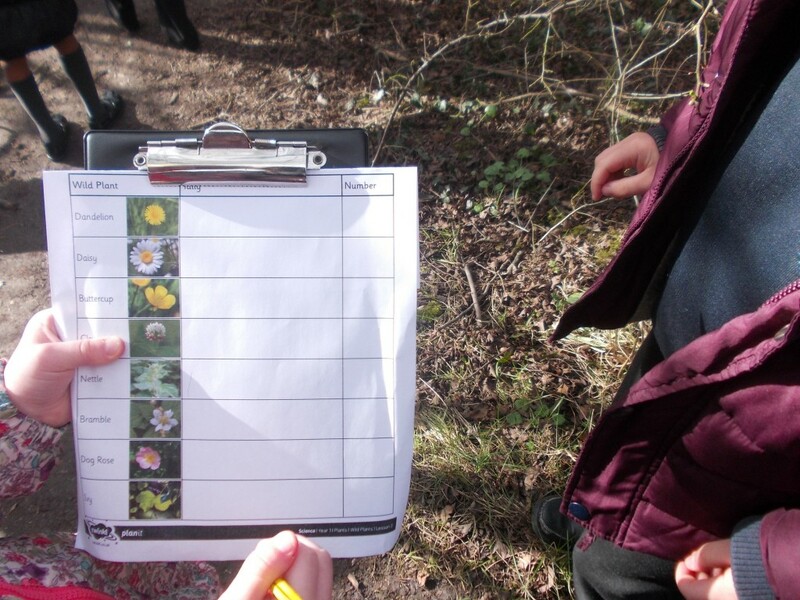 Our teachers were very impressed at how sensible and knowledgeable we are. 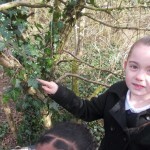 • Nettle and ivy were the most common wild plants in our school. 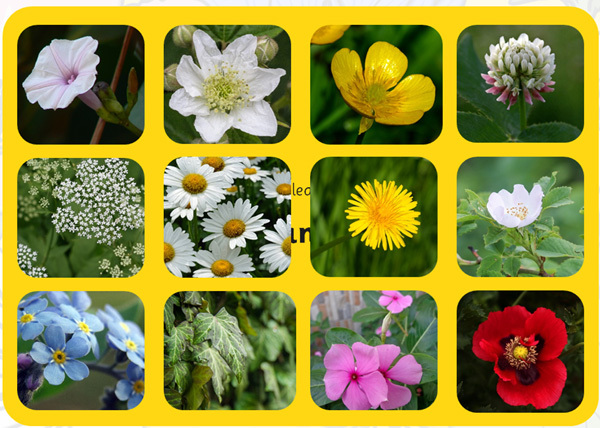 • Buttercups, clovers and dog roses are not common wild plants in our school. • We have lots of wild ivy in the woodland walk. 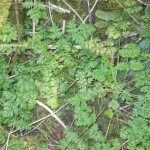 • By the nettles we found doc leaves which help when your skin is irritated. • We would have found more dandelions and daisies on the grass if it had not just been cut. As you are aware today is Safer Internet Day. 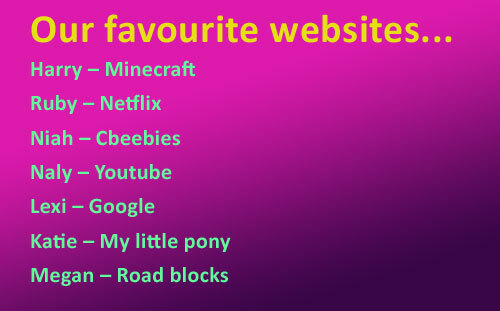 This afternoon we had an safety lesson looking at making the right decisions when on online. 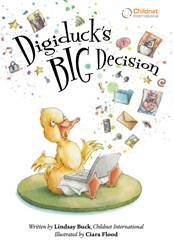 We then read through the story of Digiduck, it was a lovely story and it made us think about how we need to think when we are online. We talked a lot about how we would feel if someone was to send a photo of us on the internet without asking our permission. Sumeiya – sad because I wouldn’t like it. We understood why it would be a bad decision to send a photo of Proud Pig. We decided that it would be best not to send any photos on the internet as people would not like it. 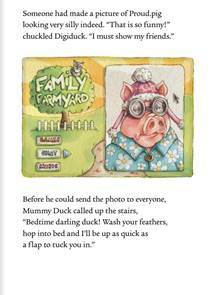 Why did Digiduck decide not to send the photo? Katie – Wise owl showed him what would happen. 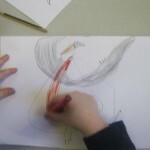 Sophie – He realised he would be bullying him. 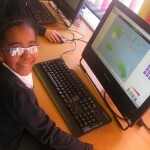 Sophia – Digiduck wanted to be a good friend. Poppy – He thought it was fun but it wasn’t. Lexi – He knew it would make pig sad. Evie – It would hurt pigs feelings. Kiall – He wanted to keep his friends. How can you be a good friend to others on the internet? Elliott – Don’t send bad/ silly photos of your friends. 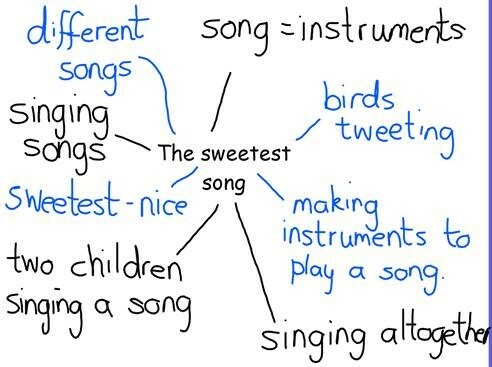 Pheobe – Only write nice comments. Joey – Ask friends before you send photos. 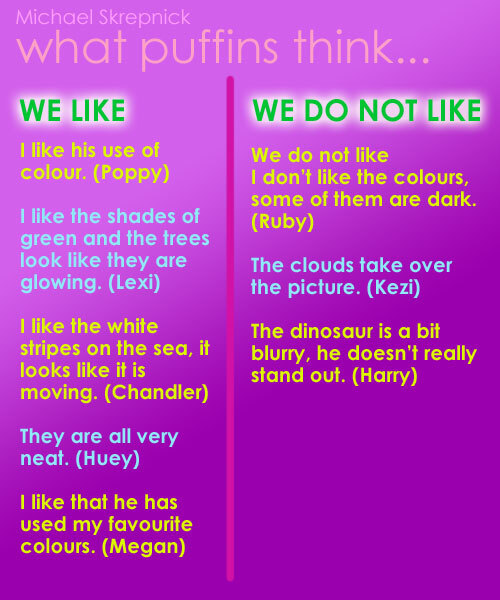 Tell an adult if you do not like something. Speak to an adult if you are worried. Don’t write it if you wouldn’t say it. 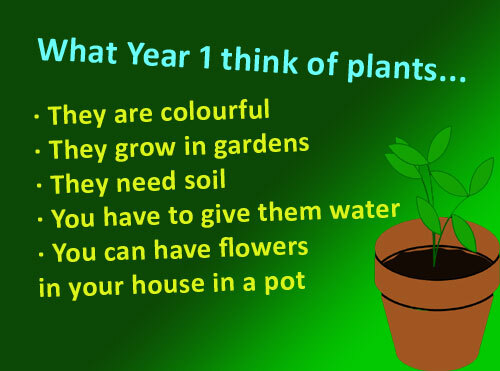 Last week we started to look at plants in Science. 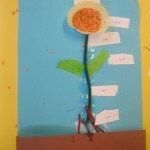 We started by planting our own beans that we are now monitoring to see how they grow. We have our own bean diaries and we are making sure they get enough sunlight and water to help them grow. 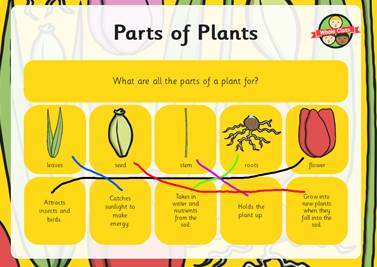 This week, we started to learn about the different parts of the plant (labelling and knowing what each part of the plant is for). 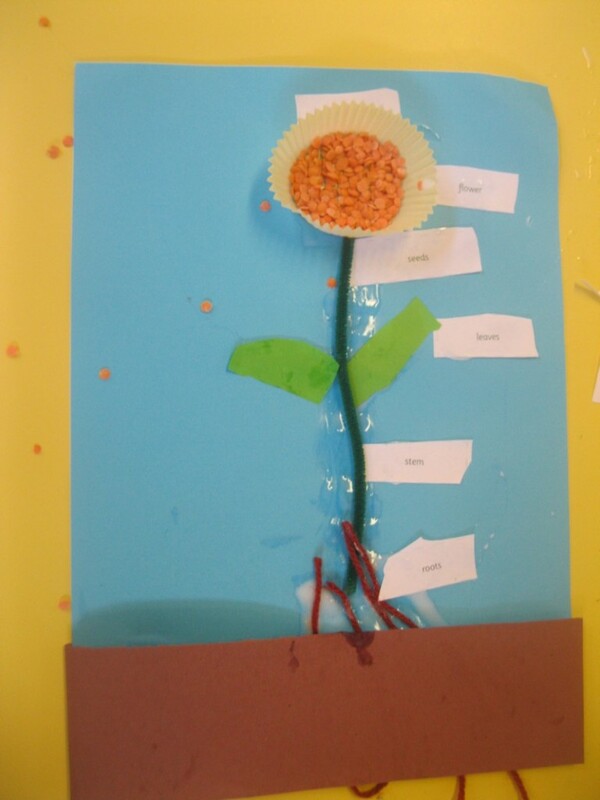 We had a good try labelling the plant and only got confused about where we would find the seeds. 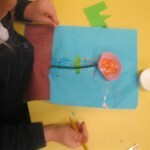 We then learnt about the different parts of the plant and their job. 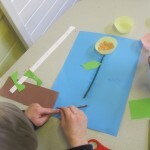 To practise what we had learnt, we then made our own plant pictures using different craft materials and labelled using the correct vocabulary. It was a tricky task but we continued to perservere with it and they look really good. 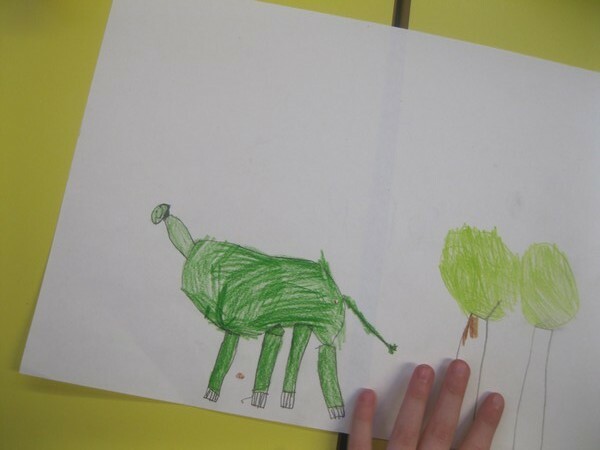 Over the past few weeks in Art, we have been looking at how to develop our drawing skills to draw dinosaurs. 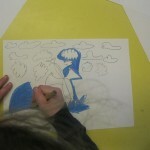 We use a range of shapes and lines to help build up our pictures and we were amazed at what fantastic artists we are. 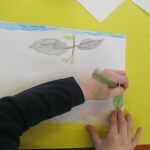 Today we started looking at the work of Michael Skrepnick, he painted and drew pictures of dinosaurs. 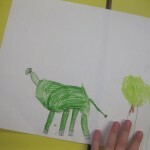 At the start of the lesson we became art critiques, giving our opinions about his artwork thinking about what we did and did not like.